← My hubby has been working hard on our pond project. 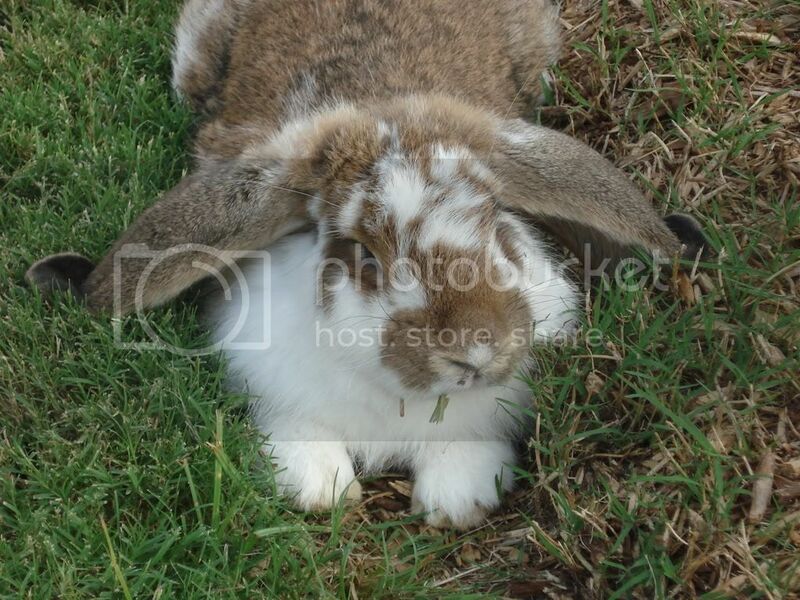 I wrote recently that one of my bunnies had died, and how my other bunny, Cadbury. was sad and lonely. As I said before, I wouldn’t ordinarily want to get a new pet so soon after being brokenhearted. But my hubby and I decided that Cadbury Bunny should have a new companion. Now, Cadbury and Hudson snuggle and groom each other. Hudson is a very nice bunny. They have a bunny paradise outside our back door. 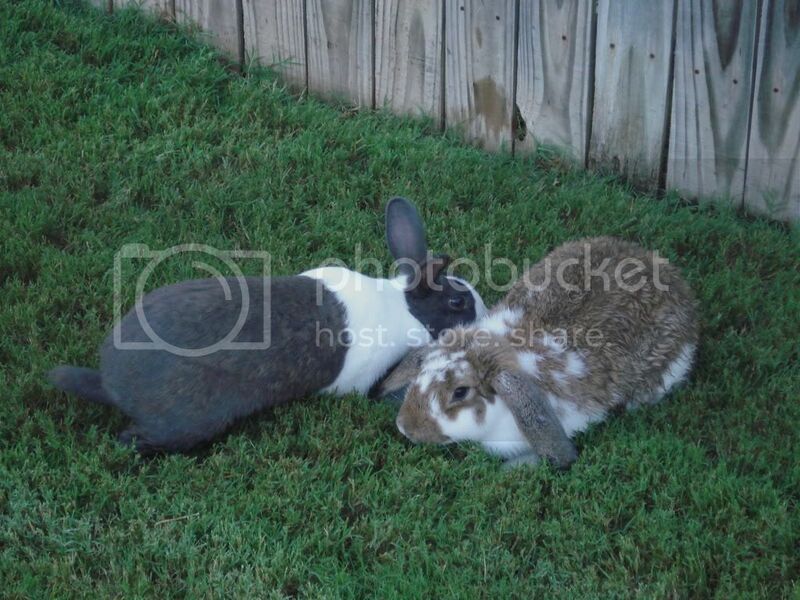 They have their own little fenced bunny lawn, and they have a big, roomy hutch under our gazebo awning on the patio. They have their choice of sun or shade. When I am outside, I open the bunny gate so they can romp around the backyard. They also like to lean far over and eat the tender plants in the fishpond. One time, Hudson even dove in the fishpond and swam across when Cadbury was chasing him before they became friends. After they have a nice romp in the yard, they go back into their own bunny yard for a nap, and I close the gate. They also have a bunny pen in the house. We bring them inside on hot, rainy, cold, etc days.